In 1972, at the age of 21, John Callahan was involved in a car crash that severed his spine and made him a quadriplegic. A heavy drinker since the age of 12 (alcohol had played a role in his crash), the accident could have been the beginning of a downward spiral. Instead, it sparked a personal transformation. After extensive physical therapy, he was eventually able to grasp a pen in his right hand and make rudimentary drawings. By 1978, Callahan had sworn off drinking for good, and begun to draw cartoons. Don’t Worry, He Won’t Get Far on Foot recounts Callahan’s life story, from the harrowing to the hilarious. Featuring more than 60 of Callahan’s cartoons, it’s a compelling look at art, addiction, disability, and fame. 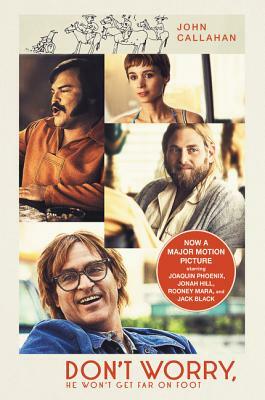 A film adaptation scheduled for 2018, starring Joaquin Phoenix as John Callahan, will bring fresh attention to this underappreciated classic. John Callahan (1951–2010) was a nationally syndicated cartoonist known for his frank portrayals of challenging subjects, in particular disability. Callahan, who became a quadriplegic following a car accident at age twenty-one, drew cartoons that touched upon addiction, ableism, and the absurd. He was the creator of the Nickelodeon cartoon Pelswick.